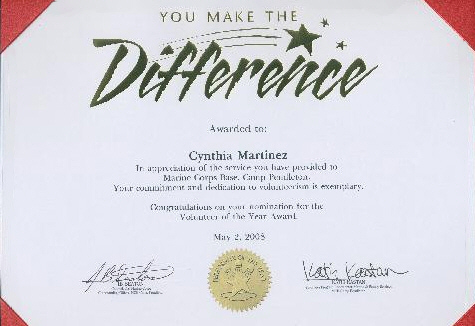 Cynthia Martinez and her organization “Words of Comfort, Hope & Promise” have received many awards for their dedication to offer support to our military service men and women and their families. 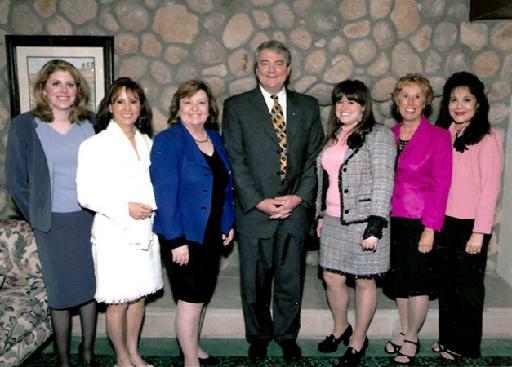 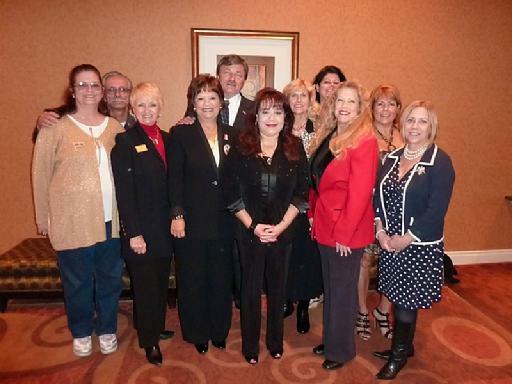 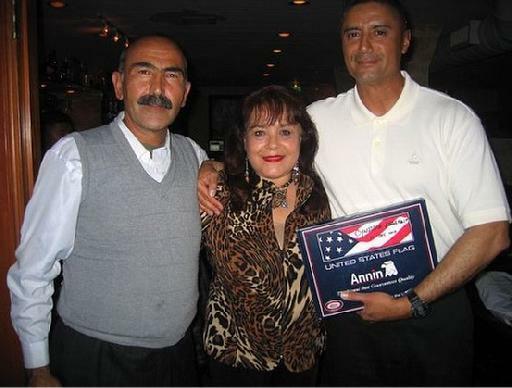 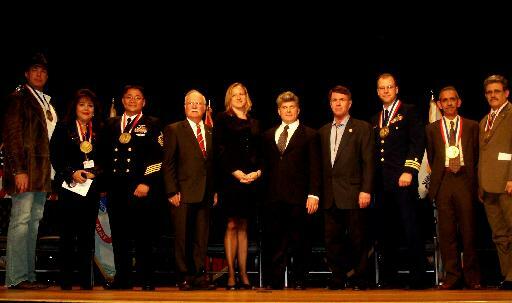 In 2010 the WOCHP team was honored with the California Governor’s and First Lady’s Service Award. 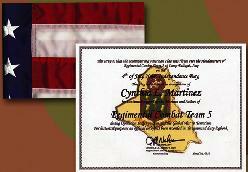 Cynthia was presented with a flag and certificate from Sgt. 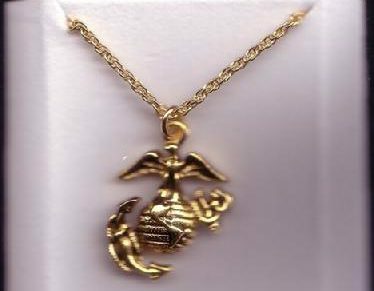 Major Hoopii and a necklace from the General from Afghanistan. 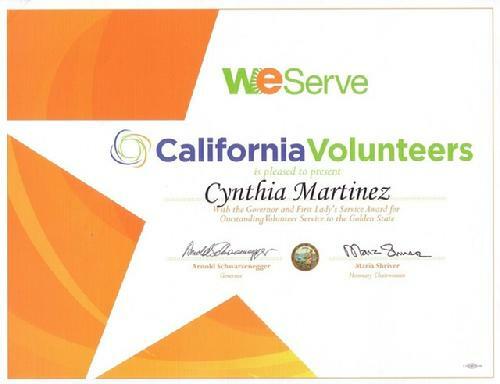 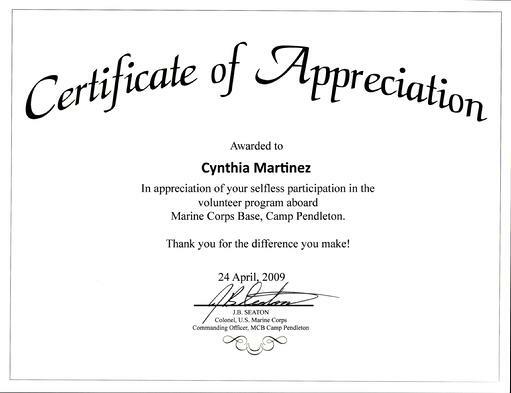 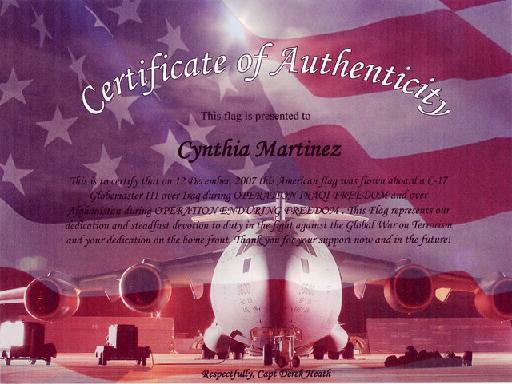 Cynthia was honored to receive the “Certificate of Appreciation” on behalf of her organization and all the “Over the Top” volunteers that help her support our beloved troops and their precious families at the Marine Corps Base at Camp Pendleton. 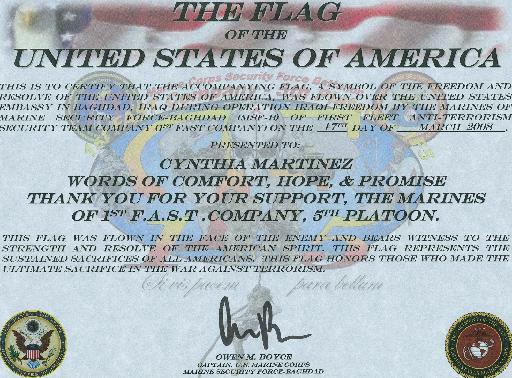 Cynthia was honored to receive this flag from the HMLA Helicopter Squadron 369 “Gunfighters” that was flown in a combat mission in a UH-1N Utility helicopter over the city of Haditha in support of 1st MEF during Operation Iraqi Freedom in honor of Words of Comfort, Hope and Promise. 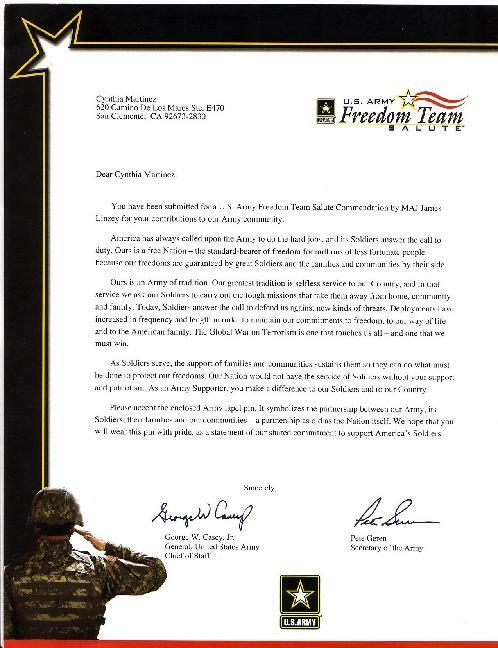 WOCHP received an appreciation letter and certificate from General George W. Casey Jr., United States Army Chief of Staff and Pete Geren, Secretary of Army, for supporting the Army National Guard during their deployment. 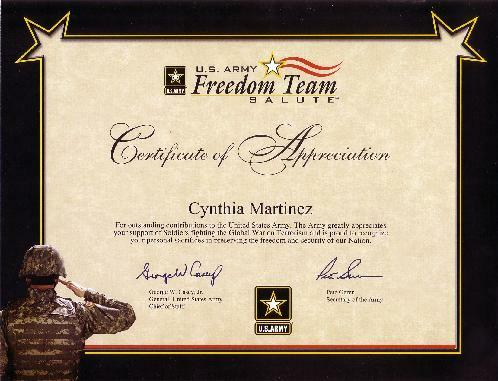 Thanks to Major James Linzey for submitting this special U.S. Army Freedom Team Salute. 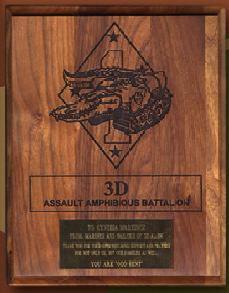 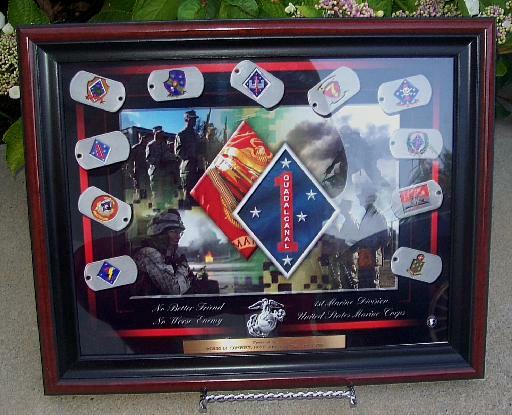 The WOCHP team was presented with a beautiful award from the 3D Assault Amphibian Battalion at their Christmas party. 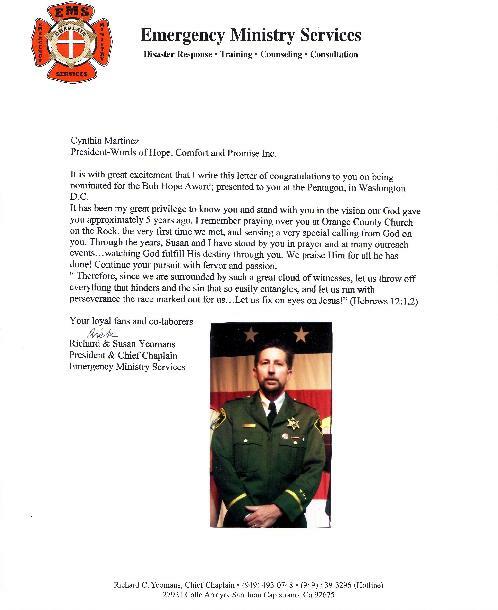 Letter of Congratulations from Pastor Rick and Susan Yeomans, President and Chief Chaplain Emergency Ministry Services. 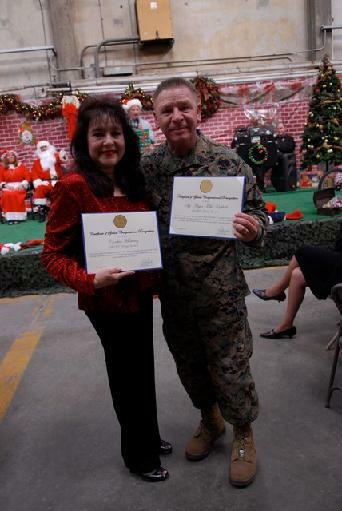 Cynthia was honored to receive the “The Spirit of Hope Award”, also known as “The Bob Hope Award”, during a special ceremony at the Pentagon in Arlington, VA on behalf of her dedication to support our troops and their families. 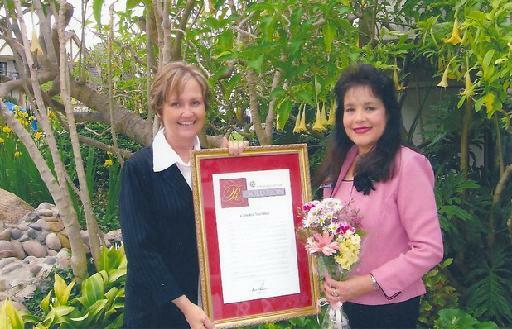 Cynthia was then further honored with a bronze lapel pin bearing a miniature of the bas-relief of Bob Hope, presented by Mr. Hope’s grandaughter, Miranda Hope-Smith. 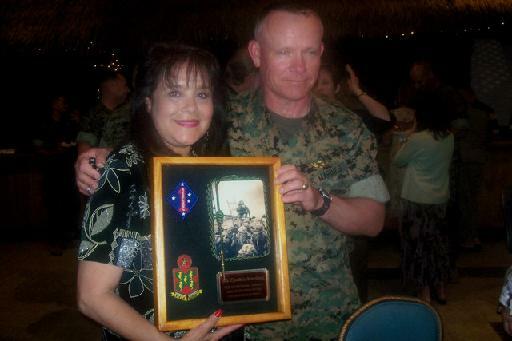 Major General Thomas D. Waldhauser, Commanding General, 1st Marine Division, gave Cynthia the Guadalcanal Award for 2008 during the 1st Marine Division Appreciation Dinner. 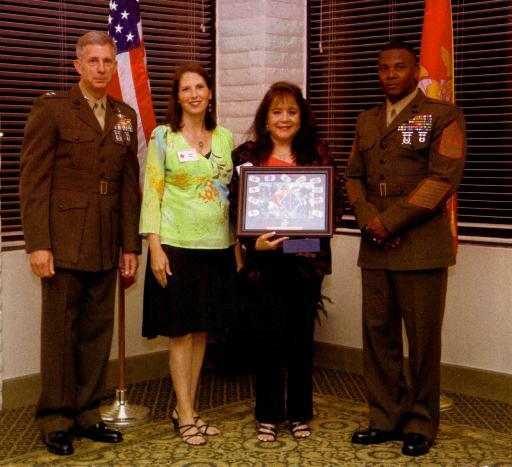 Cynthia was honored to receive the “You Make The Difference Award” on behalf of her organization and all the faithful and wonderful volunteers that help her support our troops and their families, in appreciation of the exemplary service the WOCHP team has provided to Marine Corps Base, Camp Pendleton. 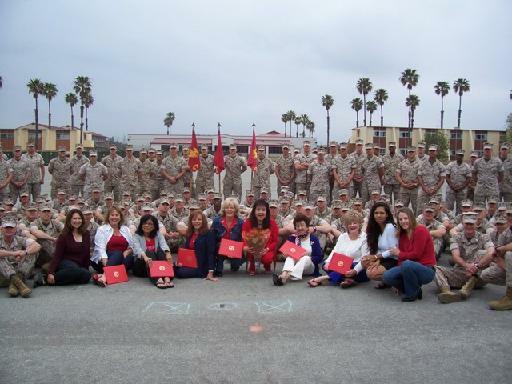 A Certificate of Appreciation was awarded to the WOCHP team in appreciation of their selfless participation in the Volunteer Program Abroad Marine Corps Base at Camp Pendleton. 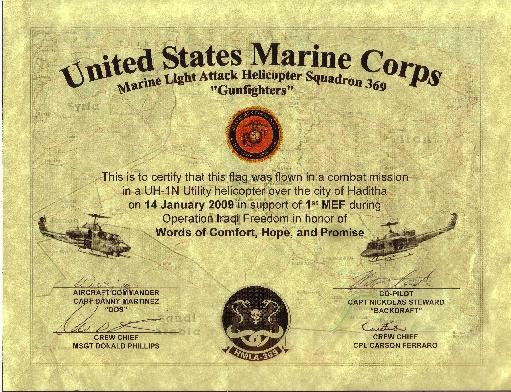 Captain Owen M. Boyce U.S.Marine Corps from Marine Security sent the WOCHP team this certificate and the American flag that was flown over the United States Embassy in Baghdad during Operation Iraqi Freedom by the Marines of Marine Security Force-Baghdad (MSF-B) of the First Fleet Anti-Terrorism Security Team Company 1st Fast Company. 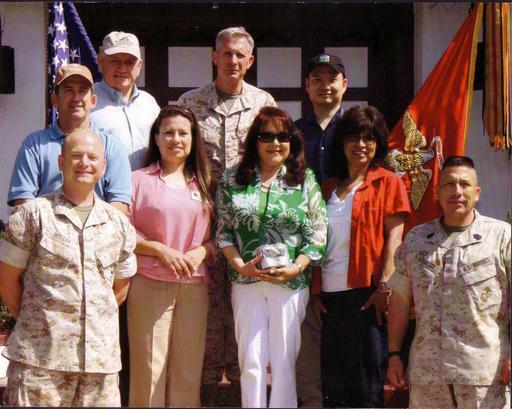 J. M. Paxton, MajorGen, USMC Chief of Staff, Multi-National Force-Iraq and the Command Group sent the WOCHP team a flag of the United States of America that was flown over the Al Faw Palace aboard Camp Victory in Baghdad, Iraq during Operation Iraqi Freedom, in recognition of their commitment and dedication in supporting the service men and women in Multi-National Force in Iraq. 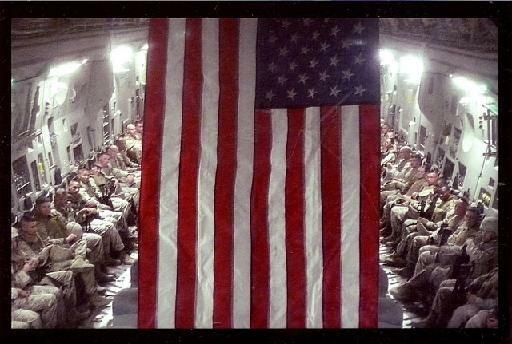 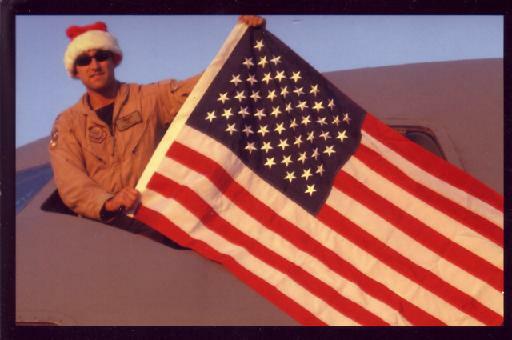 This photo is of Captain Derek Heath holding the flag which was flown on the C-17 Globalmaster 111 over Iraq during Operation Iraqi Freedom and over Afghanistan during Operation Enduring Freedom. 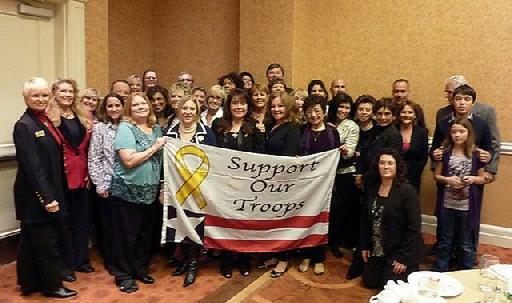 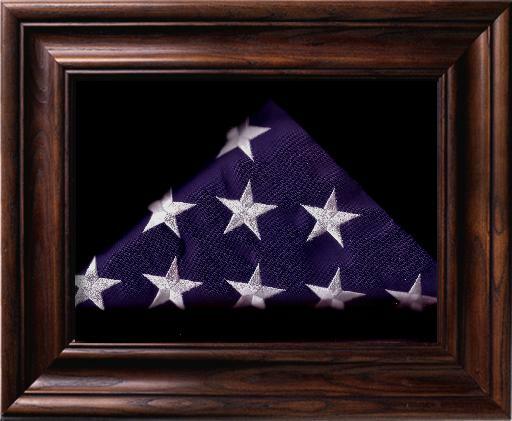 This flag was given to WOCHP along with a Certificate of Authenticity for their support and dedication on the homefront. 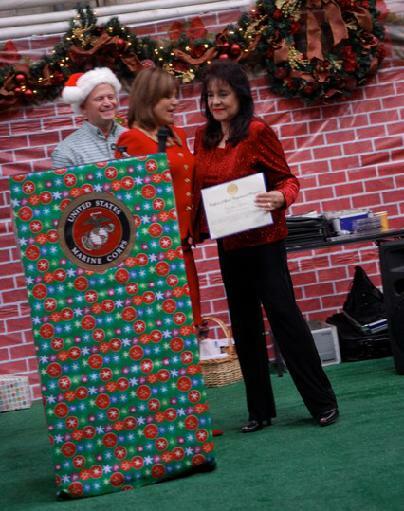 Congresswoman Loretta Sanchez presented Cynthia with a Certificate of Special Congressional Recognition during the Christmas Party 2007 at Camp Pendelton. 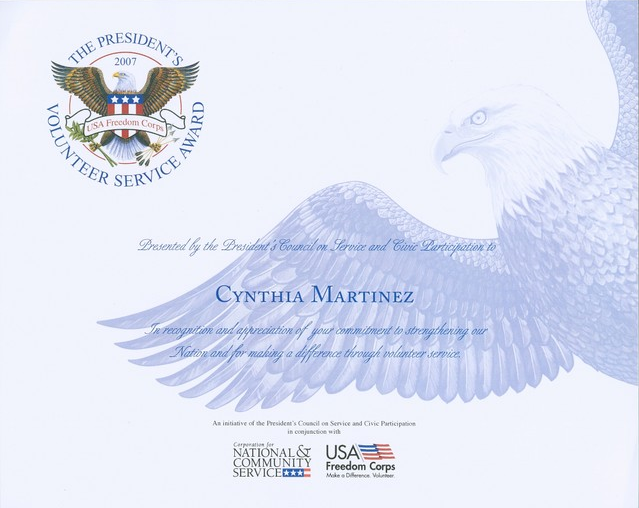 Cynthia was honored to receive The President’s Volunteer Service Award on behalf of all the wonderful volunteers that help her support our troops and their families. 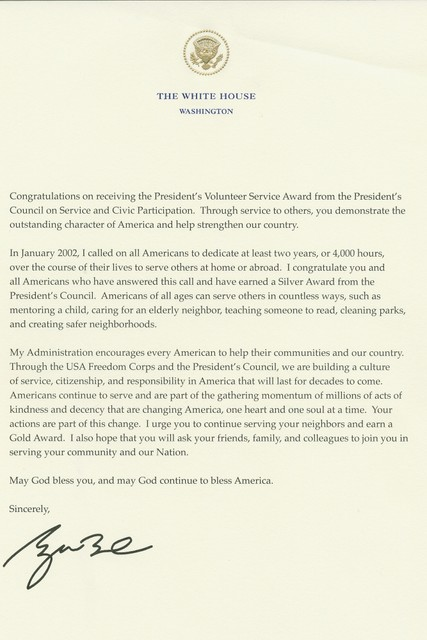 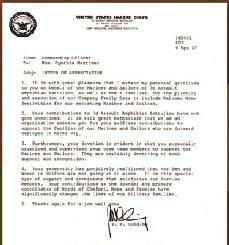 The award was presented along with a letter signed by President Bush. 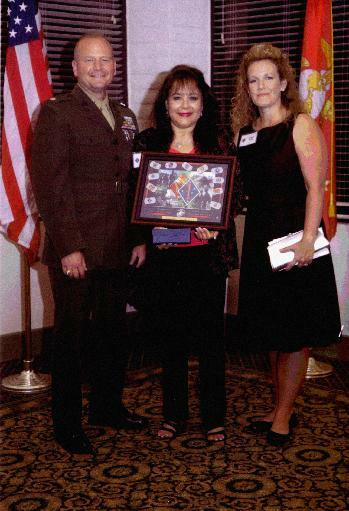 Brigadier General Nicholson presented Cynthia with the Guadalcanal Award for exceptional service and dedication to the 5th Marine Regiment. 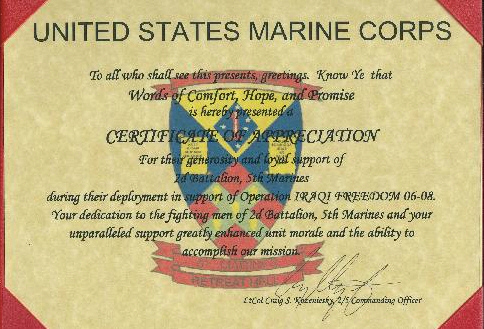 A Certificate of Appreciation was presented to WOCHP by Lt. Col. Craig S. Kozeniesky, 2/5 Commanding Officer, for the generosity and loyal support of 2nd Battalion 5th Marines during their deployment in support of Operation Iraqi Freedom 06-08. 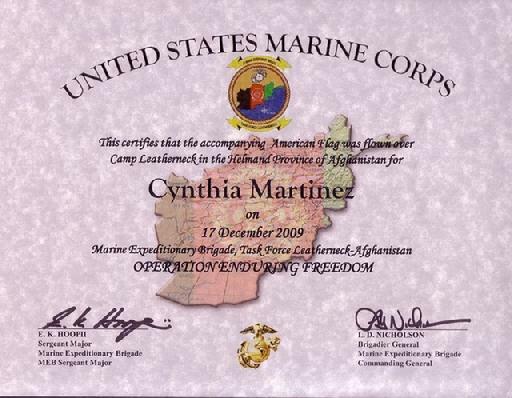 During Col. Lawrence Nicholson’s tour in Iraq, he honored Cynthia by sending her the American flag that was flown over the headquarters of Regimental Combat team 5 at Camp Fallujah, Iraq, on the 4th of July 2006, Independence Day for her continual support for the Marines and Sailors of Regimental Combat team 5 during Operation Iraqi Freedom and the Global War on Terrorism. 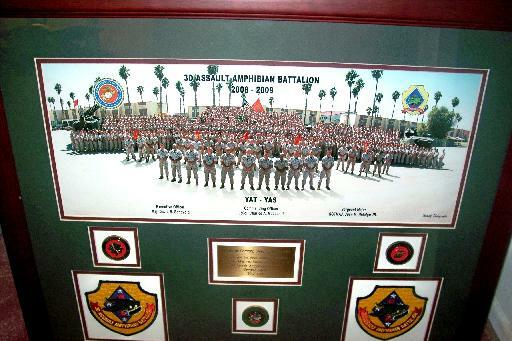 Marines and Sailors of Charlie Company, 3rd Assault Amphibian Battalion, 1st Marine Division, I Marine Expeditionary Force presented WOCHP with a plaque for their prayers and generous support throughout the 2006 Operation Iraqi Freedom deployment. 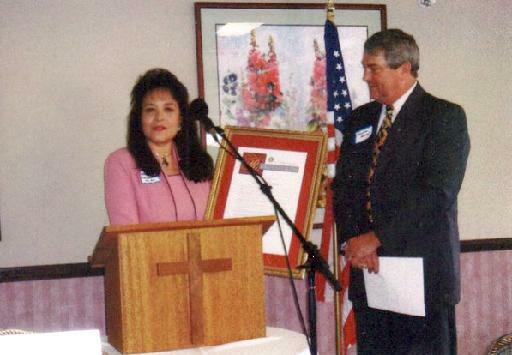 Cynthia was nominated Woman of the Year 2005 and was invited to attend a luncheon and was presented with an award from Senator Bill Morrow from the 38th Senatorial District. 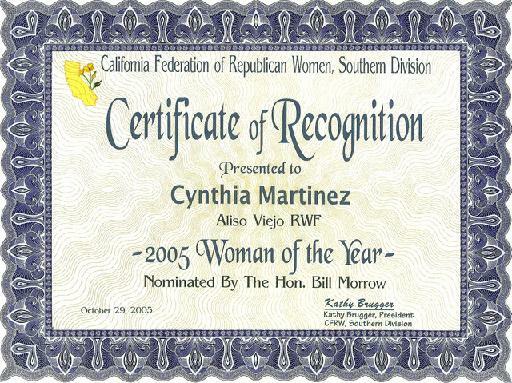 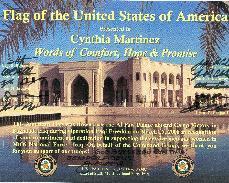 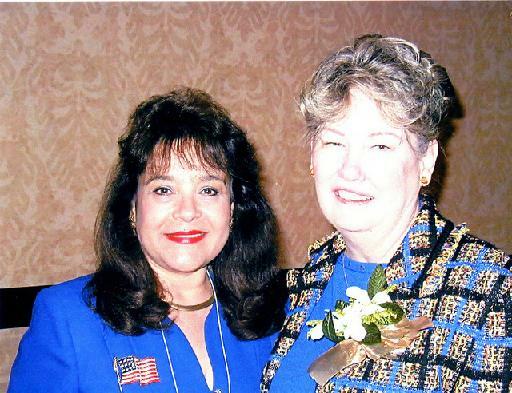 The California Federation of Republican Women, Southern Division, nominated Cynthia Martinez for Woman of the Year 2005. 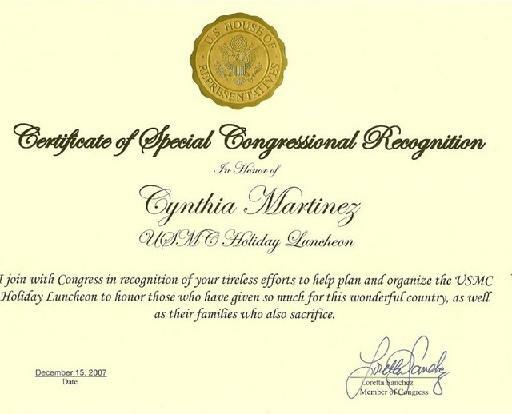 She was presented with a Certificate of Recognition by Kathy Brugger, President of the CFRW, Southern Division. 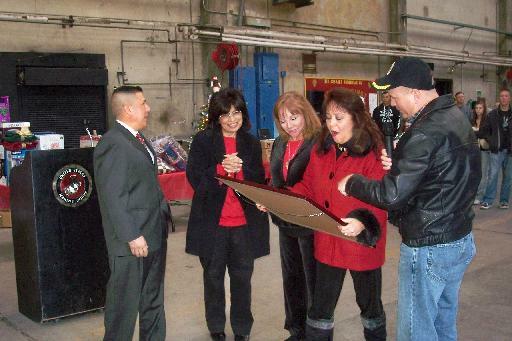 The WOCHP team was invited by Commanding Officer P.W. 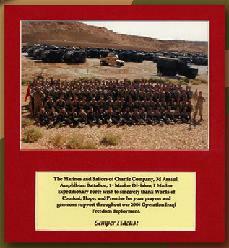 Cushing and Sgt. 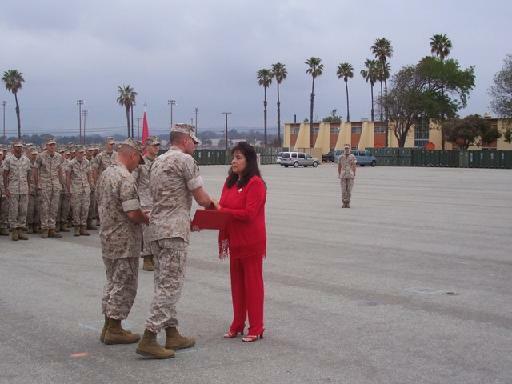 Major Michael Kufchak to attend a breakfast and was presented with a Letter of Appreciation for their support to 3D Assault Amphibious Battalion. 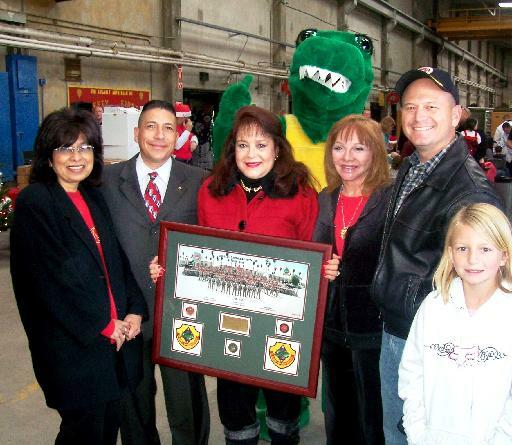 WOCHP also received a plaque and roses for their support to this Battalion. 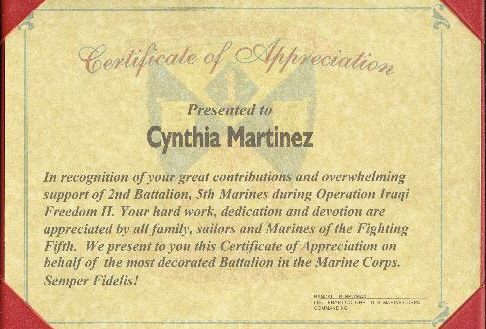 Randall P. Newman Lieutenant Colonel U.S. Marine Corps presented a Certificate of Appreciation to Cynthia Martinez in recognition for her great contribution and overwhelming support of 2nd Battalion, 5th Marine during Operation Iraqi Freedom II. 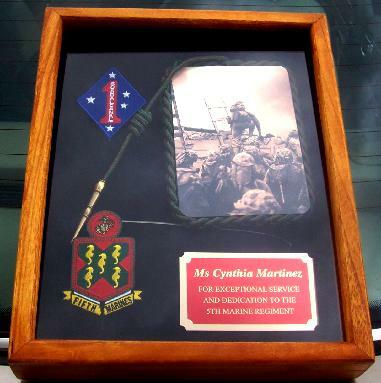 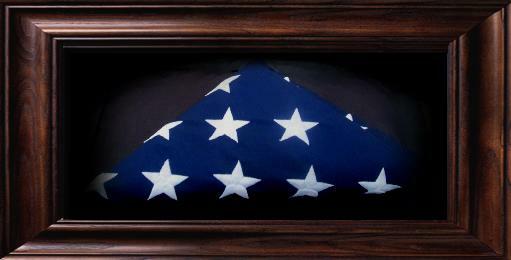 Her hard work dedication and devotion was appreciated by all families, sailors, and Marines of the Fighting Fifth.